This article is about the U.S. state of Hawaii. For its "Big Island", see Hawaii (island). For other uses, see Hawaii (disambiguation). Area Ranked 43rd in the U.S.
Hawaii ( /həˈwaɪ.iː/ or /həˈwaɪʔiː/; Hawaiian: Hawaiʻi Hawaiian pronunciation: [hɐˈvɐiʔi]) is the most recent of the 50 U.S. states (joined the Union on August 21, 1959), and is the only U.S. state made up entirely of islands. It is the northernmost island group in Polynesia, occupying most of an archipelago in the central Pacific Ocean. Hawaii’s diverse natural scenery, warm tropical climate, abundance of public beaches, oceanic surroundings, and active volcanoes make it a popular destination for tourists, surfers, biologists, and volcanologists alike. Due to its mid-Pacific location, Hawaii has many North American and Asian influences along with its own vibrant native culture. Hawaii has over a million permanent residents along with many visitors and U.S. military personnel. Its capital is Honolulu on the island of Oʻahu. The state encompasses nearly the entire volcanic Hawaiian Island chain, which comprises hundreds of islands spread over 1,500 miles (2,400 km). At the southeastern end of the archipelago, the eight "main islands" are (from the northwest to southeast) Niʻihau, Kauaʻi, Oʻahu, Molokaʻi, Lānaʻi, Kahoʻolawe, Maui and the island of Hawaiʻi. The last is the largest and is often called "The Big Island" to avoid confusion with the state as a whole. 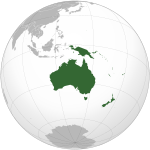 The archipelago is physiographically and ethnologically part of the Polynesian subregion of Oceania. 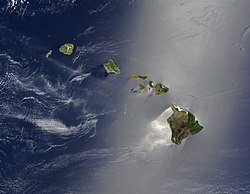 Hawaii is the 8th-least extensive, the 11th-least populous, but the 13th-most densely populated of the 50 U.S. states. Hawaii's coastline is approximately 750 miles (1,210 km) long, which is fourth in the United States after Alaska, Florida and California. Hawaii is one of two states that do not observe daylight saving time, the other being Arizona. It is also one of two states that are not in the Contiguous United States; the other is Alaska. Hawaii is the only state with an Asian plurality. The Hawaiian language word Hawaiʻi derives from Proto-Polynesian *Sawaiki, with the reconstructed meaning "homeland"; Hawaiʻi cognates are found in other Polynesian languages, including Māori (Hawaiki), Rarotongan (ʻAvaiki), and Samoan (Savaiʻi). (See also Hawaiki). According to Pukui and Elbert, "Elsewhere in Polynesia, Hawaiʻi or a cognate is the name of the underworld or of the ancestral home, but in Hawaiʻi, the name has no meaning." The title of the state constitution is "The Constitution of the State of Hawaii". In Article XV, Section 1 uses "The State of Hawaii", Section 2 "the island of Oahu", Section 3 "The Hawaiian flag", and Section 5 specifies the state motto as "Ua mau ke ea o ka aina i ka pono". Since these documents predate the modern use of the ʻokina and the kahakō in Hawaiian orthography, the diacritics were not used. A true-color satellite view of Hawaii shows that most of the vegetation on the islands grow on the north-east sides which face the wind. The silver glow around the south-west of the islands is the result of calmer waters. Because the islands are so far from other land habitats, life before human activity is said to have arrived by the “3 W’s”: wind (carried through the air), waves (brought by ocean currents), and wings (birds, insects, and whatever they brought with them). This isolation, and the wide range of environments (extreme altitude, tropical climate) produced a vast array of endemic flora and fauna (see Endemism in the Hawaiian Islands). Hawaii has more endangered species and has lost a higher percentage of its endemic species than any other U.S. state. The Papahānaumokuākea Marine National Monument was proclaimed by President George W. Bush on June 15, 2006. The monument covers roughly 140,000 square miles (360,000 km2) of reefs, atolls and shallow and deep sea out to 50 miles (80 km) offshore in the Pacific Ocean, larger than all of America’s National Parks combined. Hawaii’s climate is typical for the tropics, although temperatures and humidity tend to be a bit less extreme due to near-constant trade winds from the east. Summer highs are usually in the upper 80s °F, (around 31 °C) during the day and mid 70s, (around 24 °C) at night. Winter day temperatures are usually in the low to mid 80s, (around 28 °C) and (at low elevation) seldom dipping below the mid 60s (18 °C) at night. Snow, not usually associated with the tropics, falls at 4,205 metres (13,796 ft) on Mauna Kea and Mauna Loa on the Big Island in some winter months. Snow rarely falls on Haleakala. Mount Waiʻaleʻale, on Kauaʻi, has the second highest average annual rainfall on Earth, about 460 inches (11,684.0 mm). Most of Hawaii has only two seasons: the dry season from May to October, and the wet season from October to April. Hawaii is one of four states, besides the original thirteen, that were independent prior to becoming part of the United States, along with the Vermont Republic (1791), the Republic of Texas (1845), and the California Republic (1846), and one of two, along with Texas, that had formal diplomatic recognition internationally. The Kingdom of Hawaii was sovereign from 1810 until 1893 when the monarchy was overthrown by resident American (and some European) businessmen. It was an independent republic from 1894 until 1898, when it was annexed by the United States as a territory, becoming a state in 1959. Hawaii was the target of a surprise attack on Pearl Harbor by Imperial Japan on December 7, 1941. The attack on Pearl Harbor and other military and naval installations on Oʻahu, carried out by aircraft and by midget submarines, brought the United States into World War II. The earliest habitation supported by archaeological evidence dates to as early as 300 CE, probably by Polynesian settlers from the Marquesas, followed by a second wave of migration from Raiatea and Bora Bora in the 11th century. The first recorded European contact with the islands was in 1778 by British explorer James Cook. Polynesians from the Marquesas and possibly the Society Islands may have first populated the Hawaiian Islands between 300 and 500 CE. There is a great deal of debate regarding these dates. Regardless of the question of Paʻao, historians agree that the history of the islands was marked by a slow but steady growth in population and the size of the chiefdoms, which grew to encompass whole islands. Local chiefs, called aliʻi, ruled their settlements and launched wars to extend their sway and defend their communities from predatory rivals. Ancient Hawaii was a caste-based society much like that of the Hindus in India. There are questions as to whether Spanish explorers did arrive in the Hawaiian Islands two centuries before Captain James Cook's first documented visit in 1778. Ruy López de Villalobos commanded a fleet of six ships that left Acapulco in 1542 with a Spanish sailor named Juan Gaetano aboard as pilot. Depending on the interpretation, Gaetano's reports seemed to describe the discovery of Hawaii or the Marshall Islands in 1555. If it was Hawaii, Gaetano would have been one of the first Europeans to find the islands. Some scholars have dismissed these claims as lacking credibility. The 1778 arrival of British explorer James Cook was Hawaii’s first documented contact with European explorers. Cook named the islands the "Sandwich Islands" in honor of his sponsor John Montagu, 4th Earl of Sandwich. He published the islands' location and reported the native name as Owyhee. This spelling lives on in Owyhee County, Idaho, after three Hawaiian members of a trapping party that went missing in that area. Cook visited the islands twice. Upon his departure during his second visit in 1779, a quarrel ensued, involving Cook's taking of temple idols and fencing as "firewood", and the taking of a ship's boat by a minor chief and his men. Cook then abducted the King of the Big Island of Hawaii, Kalaniʻōpuʻu, and held him as ransom aboard his ship for the return of the boat, a tactic that had worked for Cook in Tahiti and other islands. Kalaniʻōpuʻu's supporters fought back and Cook and four Marines were killed as Cook's party retreated to the beach and launched their boats. After Cook's visit and the publication of several books relating his voyages, the Hawaiian islands received many European visitors: explorers, traders, and eventually whalers who found the islands a convenient harbor and source of supplies. Early British influence can be seen in the design of the flag of Hawaii which has the British Union Flag in the corner. These visitors introduced diseases to the once-isolated islands and the Hawaiian population plunged precipitously because native Hawaiians had no resistance to influenza, smallpox, and measles, among others. By 1820, Eurasian diseases, famine, and wars among the chiefs killed more than half of the Native Hawaiian population. During the 1850s, measles killed a fifth of Hawaii's people. Historical records indicated that the earliest immigration of the Chinese came from Guangdong province: a few sailors in 1778 with Captain Cook's journey, more in 1788 with Kaina, and some in 1789 with an American trader who settled in Hawaii in the late 18th century. During the 1780s and 1790s, chiefs were often fighting for power. After a series of battles that ended in 1795 and forced cession of the island of Kauaʻi in 1810, all inhabited islands were subjugated under a single ruler who became known as King Kamehameha the Great. He established the House of Kamehameha, a dynasty that ruled the kingdom until 1872. After Kamehameha II inherited the throne in 1819, American Protestant missionaries to Hawaii converted many Hawaiians to Christianity. Their influence ended many ancient practices, and Kamehameha III was the first Christian king. One prominent Protestant missionary, Hiram Bingham I, was a trusted adviser to the monarchy during this period. Other missionaries and their descendants became active in commercial and political affairs, leading to future conflicts between the monarchy and its restive American subjects. Missionaries from other Christian denominations (such as Catholics, Mormons, and Episcopalians) were active, but never converted more than a minority of the Native Hawaiian population. Ezra T. Benson appeared to have been the earliest Mormon missionary to the islands. The death of the bachelor King Kamehameha V—who did not name an heir—resulted in the popular election of Lunalilo over Kalākaua. Lunalilo died the next year, also without naming an heir. Perhaps "the People's King" (Lunalilo) wanted the people to choose his successor as they had chosen him. In 1874 the election was contested within the legislature between Kalākaua and Emma. This led to riots and the landing of U.S. and British troops, and governance passed to the House of Kalākaua. In 1887, Kalākaua was forced to sign the 1887 Constitution of the Kingdom of Hawaii, which stripped the king of much of his authority. There was a property qualification for voting, which disenfranchised most Hawaiians and immigrant laborers, and favored the wealthier white community. Resident whites were allowed to vote, but resident Asians were excluded. Because the 1887 Constitution was signed under threat of violence, it is known as the "Bayonet Constitution". King Kalākaua, reduced to a figurehead, reigned until his death in 1891. His sister, Liliʻuokalani, succeeded him on the throne. In January 1893, Queen Liliʻuokalani was overthrown and replaced by a Provisional Government composed of members of the Committee of Safety. Controversy filled the following years as the queen tried to re-establish her throne. The administration of President Grover Cleveland commissioned the Blount Report, which concluded that the removal of Liliʻuokalani was illegal. The U.S. government first demanded that Queen Liliʻuokalani be reinstated, but the Provisional Government refused. Congress followed with another investigation, and submitted the Morgan Report on February 26, 1894, which found all parties (including Minister Stevens) with the exception of the queen "not guilty" from any responsibility for the overthrow. The accuracy and impartiality of both the Blount and Morgan reports has been questioned by partisans on both sides of the debate over the events of 1893. The Provisional Government of Hawaii ended on July 4, 1894, replaced by the Republic of Hawaii. The first Japanese immigrants arrived in Hawaii in 1885 as contract laborers for the sugar cane and pineapple plantations. After William McKinley won the presidential election in 1896, Hawaii's annexation to the U.S. was again discussed. The previous president, Grover Cleveland, was a friend of Queen Liliʻuokalani. McKinley was open to persuasion by U.S. expansionists and by annexationists from Hawaii. He met with three annexationists from Hawaii: Lorrin Thurston, Francis March Hatch and William Ansel Kinney. After negotiations, in June 1897, Secretary of State John Sherman agreed to a treaty of annexation with these representatives of the Republic of Hawaii. In the 1950s the power of the plantation owners was finally broken by descendants of immigrant laborers. Because they were born in a U.S. territory, they were legal U.S. citizens. The Hawaii Republican Party, strongly supported by plantation owners, was voted out of office. The Democratic Party of Hawaii dominated politics for 40 years. Expecting to gain full voting rights, Hawaii's residents actively campaigned for statehood. In March 1959, Congress passed the Hawaii Admission Act and U.S. President Dwight D. Eisenhower signed it into law. (The act excluded Palmyra Atoll, part of the Kingdom and Territory of Hawaii, from the new state.) On June 27 of that year, a referendum asked residents of Hawaii to vote on the statehood bill. Hawaii voted 17 to 1 to accept. The choices were to accept the Act or to remain a territory, without the option of independence. The United Nations Special Committee on Decolonization later removed Hawaii from the United Nations list of Non-Self-Governing Territories. Hawaii is demographically unique because it has the highest percentage of Asian Americans and Multiracial Americans, as well as the lowest percentage of White Americans of any state. In 2011, non-Hispanic whites were involved in 14.5% of all the births. Hawaii's Asian population mainly consists of 198,000 (14.6%) Filipino Americans and 185,000 (13.6%) Japanese Americans. In addition, there are roughly 55,000 (4.0%) Chinese Americans and 24,000 (1.8%) Korean Americans. Indigenous Hawaiians number over 80,000, which is 5.9% of the population. Over 120,000 (8.8%) Hispanic and Latino Americans make Hawaii their home. Mexicans number over 35,000 (2.6%); Puerto Ricans exceed 44,000 (3.2%). Multiracial Americans form almost one-quarter of Hawaii's population, exceeding 320,000 people. Eurasian Americans are a prominent mixed-race group; there are roughly 66,000 (4.9%) Eurasian Americans in Hawaii. The Non-Hispanic White population numbers at 310,000 and forms just over one-fifth of the population. The multiracial population outnumbers the non-Hispanic white population by about 10,000 people. In 1970, the Census Bureau reported Hawaii's population as 38.8% white and 57.7% Asian and Pacific Islander. Hawaii is a majority-minority state, and is expected to be one of three states that will not have a white plurality in 2014, the other two being California and New Mexico. The state of Hawaii has two official languages recognized in its 1978 constitution: English and Hawaiian. Article XV, Section 4, specifies that "Hawaiian shall be required for public acts and transactions only as provided by law" [italic added]. Hawaii Creole English (locally referred to as 'Pidgin') is the native language of many born-and-raised residents and is a second language for many other residents. As of the 2000 Census, 73.44% of Hawaii residents age 5 and older speak only English at home. According to the 2008 American Community Survey, 74.6% of Hawaii's residents over the age of five speak only English at home. Some locals speak Hawaii Creole English (HCE), often called "pidgin". The lexicon of HCE derives mainly from English but also has words from Hawaiian, Chinese, Japanese, Portuguese, Ilocano and Tagalog. During the 19th century, the increase in immigration (mainly from China, Japan, Portugal—and especially from the Azores archipelago—and Spain), caused a variant of English to develop. By the early 20th century pidgin speakers had children who acquired the pidgin as their first language. HCE speakers use some Hawaiian words without those words being considered archaic. Most place names are retained from Hawaiian, as are some names for plants or animals. For example, tuna fish are often called ahi. A church in Hawaii, 1958. The cost of living in Hawaii, specifically Honolulu, is quite high compared to most major cities in the United States. However, the cost of living in Honolulu is 6.7% lower than in New York City and 3.6% lower than in San Francisco. These numbers may not take into account certain costs, such as increased travel costs for longer flights, additional shipping fees, and the loss of promotional participation opportunities for customers "outside the continental United States". While some online stores do offer free shipping on orders to Hawaii, many merchants exclude Hawaii, Alaska, Puerto Rico and certain other US territories. 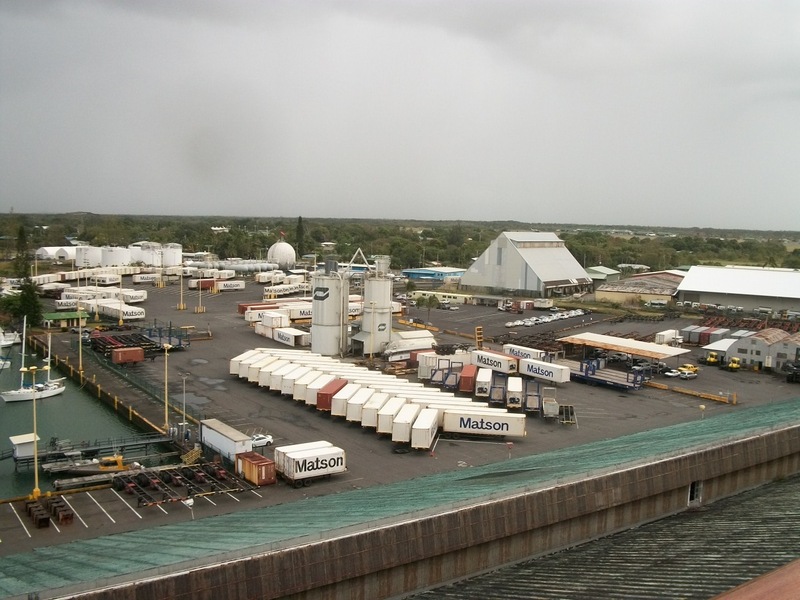 Hawaiian consumers ultimately bear the expense of transporting goods again across the Pacific on U.S.-flagged ships subject to the extremely high operating costs imposed by the Jones Act. This also makes Hawaii less competitive with West Coast ports as a shopping destination for tourists from home countries with much higher taxes (like Japan), even though prices for Asian-manufactured goods in theory should be cheaper since Hawaii is much closer to Asia. Arizona Memorial at Pearl Harbor, Oahu. Hawaii has the U.S.' only school system that is unified statewide. Policy decisions are made by the fourteen-member state Board of Education. The Board sets policy and hires the superintendent of schools, who oversees the state Department of Education. The Department of Education is divided into seven districts, four on Oʻahu and one for each of the three other counties. The main rationale for centralization is to combat inequalities between highly populated Oʻahu and the more rural Neighbor Islands, and between lower-income and more affluent areas. In most of the United States, schools are funded from local property taxes. Educators struggle with children of non-native-English-speaking immigrants, whose cultures are different from those of the mainland (where most course materials and testing standards originate). Public elementary, middle, and high school test scores in Hawaii are below national averages on tests mandated under the No Child Left Behind Act. Some of the gap has been attributed to the Hawaii Board of Education's requirement that all eligible students take these tests and report all student test scores (other states, Texas and Michigan for example, do not). Results reported in August, 2005, indicate that of 282 schools across the state, 185 (2/3) failed to reach federal minimum performance standards in math and reading. On the other hand, the ACT college placement tests show that in 2005, seniors scored slightly above the national average (21.9 compared with 20.9). In the widely accepted SAT examinations, Hawaii's college-bound seniors tend to score below the national average in all categories except mathematics. Collectively, independent educational institutions of primary and secondary education have one of the highest percentages of enrolment of any state. During the 2011-2012 school year, Hawaii public and charter schools had an enrolment of 181,213, while private schools had 37,695. Private schools thus educated over 17% of the students that school year, nearly three times the approximate national average of 6%. It has four of the largest independent schools: ʻIolani School, Kamehameha Schools, Mid-Pacific Institute, and Punahou School. The second Buddhist high school in the United States, and first Buddhist high school in Hawaii, Pacific Buddhist Academy, was founded in 2003. The first native controlled public charter school was the Kanu O Ka Aina New Century Charter School. Independent and charter schools can select their students, while the regular public schools must take all students in their district. The Kamehameha Schools are the only schools in the United States that openly grant admission to students based on ancestry, and the wealthiest schools in the United States, if not the world, having over nine billion US dollars in estate assets. In 2005, Kamehameha enrolled 5,398 students, 8.4% of the Native Hawaiian children in the state. The largest is the University of Hawaii System. It consists of: the research university at Mānoa; two comprehensive campuses Hilo and West Oʻahu; and seven Community Colleges. Private universities include Brigham Young University–Hawaii, Chaminade University of Honolulu, Hawaii Pacific University, Wayland Baptist University, or University of the Nations. The Saint Stephen Diocesan Center is a seminary of the Roman Catholic Diocese of Honolulu. The Hawaii State Capitol building, as seen from the rim of Punchbowl Crater. The executive branch is led by the Governor of Hawaii assisted by the Lieutenant Governor of Hawaii, both elected on the same ticket. The governor is the only state public official elected statewide; all others are appointed by the governor. The lieutenant governor acts as the Secretary of State. The governor and lieutenant governor oversee twenty agencies and departments from offices in the State Capitol. The official residence of the governor is Washington Place. The legislative branch consists of the bicameral Hawaii State Legislature, which is composed of the 51-member Hawaii House of Representatives led by the Speaker of the House and the 25-member Hawaii Senate led by the President of the Senate. The Legislature meets at the State Capitol. The unified judicial branch of Hawaii is the Hawai'i State Judiciary. The state's highest court is the Supreme Court of Hawaii, which uses Aliʻiōlani Hale as its chambers. Unique to Hawaii is the lack of municipal governments. All local governments are administered at the county level. The only incorporated area in the state is a consolidated city–county, Honolulu County, which governs the entire island of Oahu. County executives are referred to as mayors: The mayor of Hawaii County, mayor of Honolulu, mayor of Kauaʻi and mayor of Maui. The mayors are all elected in nonpartisan races. Honolulu is the largest city and the capital of Hawaii. Now the state capital, Honolulu is located along the southeast coast of Oʻahu. The previous capital was Lahaina, Maui, and before that Kailua-Kona, Hawaii. Some major towns are Hilo; Kāneʻohe; Kailua; Pearl City; Waipahu; Kahului; Kailua-Kona. 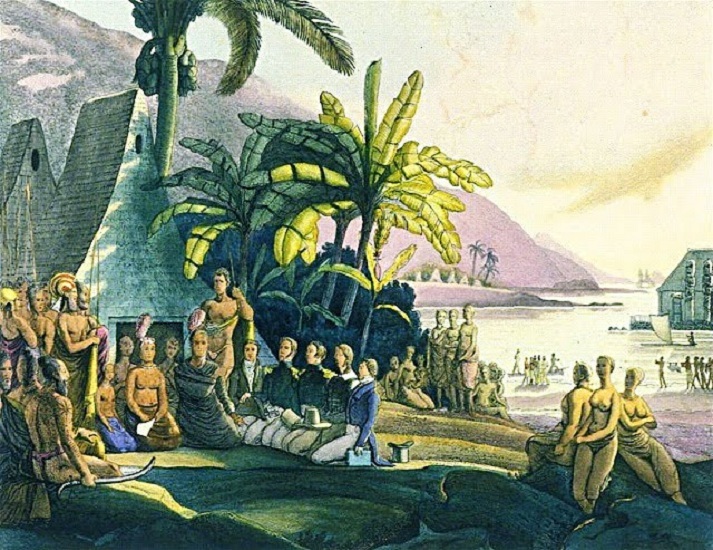 Kīhei; and Līhuʻe. Hawaii comprises five counties: Hawaii County, Honolulu County, Kauai County, Kalawao County, and Maui County. Hawaii is represented in the United States Congress by two Senators and two Representatives. All four are Democrats. Colleen Hanabusa represents the 1st congressional district in the House, representing southeastern Oahu, including central Honolulu. Tulsi Gabbard represents the 2nd congressional district, representing the rest of the state, which is mainly rural. Brian Schatz is the senior United States Senator from Hawaii. He was appointed to the office on the December 26, 2012, by Governor Neil Abercrombie, following the death of former Senator Daniel Inouye. The state's junior senator is Mazie Hirono, the former Representative from the 2nd congressional district. Hirono owns the distinction of being the first Asian American female and first Buddhist senators. Hawaii incurred the biggest seniority shift between the 112th the 113th Congress. The Aloha state went from a delegation with senators who were first and 21st in seniority before Inouye’s death and Senator Daniel Akaka’s retirement, to senators who are 87th and 93rd. Hawaii supported Democrats in 10 of the last 12 presidential elections. The exceptions were 1972 and 1984. In 2004, John Kerry won the state's four electoral votes by a margin of nine percentage points with 54% of the vote. Every county supported the Democratic candidate. In 1964, favorite son candidate Senator Hiram Fong of Hawaii sought the Republican presidential nomination, while Patsy Mink ran in the Oregon primary in 1972. Honolulu International Airport is the major commercial aviation hub of Hawaii, with intercontinental services to North America, Asia, Australia, and Oceania. Within Hawaii, Hawaiian Airlines, Mokulele Airlines and go! use jets between the larger airports in Honolulu, Līhuʻe, Kahului, Kona and Hilo, while Island Air and Pacific Wings serve smaller airports. These airlines also provide air freight service between the islands. At one time, Hawaii had a network of railroads on each of the larger islands that helped move farm commodities as well as passengers. These railroads were all narrow gauge (3 ft (914 mm) gauge for the majority although there were some 2 ft 6 in (762 mm) gauge on some of the smaller islands – standard US gauge is 4 ft 8 1⁄2 in (1,435 mm). The largest by far was the Oahu Railway and Land Company (OR&L) which ran multiple lines from Honolulu across the western and northern part of Oahu. The OR&L was an important player moving troops and goods during World War II. Traffic on this line was busy enough that there were signals on the lines facilitating movement of trains and wigwag signals at some railroad crossings for the protection of motorists. The mainline was officially abandoned in 1947, although part of it was bought by the US Navy and operated until 1970. Thirteen miles (21 km) of track remain and preservationists occasionally run trains over a portion of this line. The Honolulu High-Capacity Transit Corridor Project aims to add elevated passenger rail on Oahu to relieve highway congestion. ^ a b "Annual Estimates of the Resident Population for the United States, Regions, States, and Puerto Rico: April 1, 2010 to July 1, 2011" (CSV). 2011 Population Estimates. United States Census Bureau, Population Division. December 2011. http://www.census.gov/popest/data/state/totals/2011/tables/NST-EST2011-01.csv. Retrieved December 21, 2011. ^ "Summit USGS 1977". NGS data sheet. U.S. National Geodetic Survey. http://www.ngs.noaa.gov/cgi-bin/ds_mark.prl?PidBox=TU2314. Retrieved October 20, 2011. ^ "Hawaiian language". Wow Polynesia. December 2, 2009. http://www.wowpolynesia.com/hawaiian-language/. Retrieved April 16, 2011. ^ "Hawaiian Islands : Image of the Day". Earthobservatory.nasa.gov. http://earthobservatory.nasa.gov/IOTD/view.php?id=3510. Retrieved November 5, 2010. ^ "What constitutes the United States, what are the official definitions?". United States Geological Survey. Archived from the original on October 21, 2004. http://web.archive.org/web/20041021120319/http://interactive2.er.usgs.gov/faq/list_faq_by_category/get_answer.asp?id=795. Retrieved July 3, 2007. ^ "Mauna Kea Volcano, Hawaii". Hvo.wr.usgs.gov. http://hvo.wr.usgs.gov/volcanoes/maunakea/. Retrieved 2011-11-05. ^ Unke, Beata (2001). "Height of the Tallest Mountain on Earth". The Physics Factbook. http://hypertextbook.com/facts/2001/BeataUnke.shtml. ^ Rubin, Ken. "General Information about Hawaiian Shield Volcanoes". http://www.soest.hawaii.edu/GG/HCV/haw_volc.html. Retrieved December 2009. ^ "Youngest lava flows on East Maui probably older than A.D. 1790". United States Geological Survey. September 9, 1999. http://hvo.wr.usgs.gov/volcanowatch/1999/99_09_09.html. Retrieved October 4, 1999. ^ "Living on Active Volcanoes—The Island of Hawaii, U.S. Geological Survey Fact Sheet 074-97". Pubs.usgs.gov. http://pubs.usgs.gov/fs/fs074-97/. Retrieved 2011-11-05. ^ "Largest islands of the world". Worldatlas.com. http://www.worldatlas.com/aatlas/infopage/islands.htm. Retrieved April 16, 2011. ^ Pacific Tsunami Warning Center (November 12, 2009). "Tsunami Safety & Preparedness in Hawai`i". http://www.prh.noaa.gov/ptwc/hawaii.php. Retrieved November 12, 2009. ^ Howard Youth. "Hawaii's Forest Birds Sing the Blues". http://nationalzoo.si.edu/Publications/ZooGoer/1995/1/hawaiisforestbirds.cfm. Retrieved October 31, 2008. ^ "Hawaii". National Park Service. http://www.nps.gov/state/HI. Retrieved July 15, 2008. ^ Joshua Reichert and Theodore Roosevelt IV. "Treasure Islands". http://www.pewtrusts.org/ideas/ideas_item.cfm?content_item_id=3417&content_type_id=15&page=15&issue=16&issue_name=Protecting%20ocean%20life&name=Op-eds%20(Pew). Retrieved June 15, 2006. ^ "Climate of Hawaii". Prh.noaa.gov. http://www.prh.noaa.gov/hnl/pages/climate_summary.php. Retrieved 2011-11-05. ^ "Hawaii Weather|Hawaii Weather Forecast|Hawaii Climate". Weatherbyday.com. http://www.weatherbyday.com/hawaii/. Retrieved 2011-11-05. ^ "Today's Geo Quiz: Antipodes". The World. Boston, MA, USA: Public Radio International. February 1, 2007. http://www.pri.org/theworld/node/7751. Retrieved September 20, 2012. "So name Hawaii's antipode if you can..."
^ "Antipode Map (AKA Tunnel Map)". findlatitudeandlongitude.com. http://www.findlatitudeandlongitude.com/antipode-map/#.UFvhkK4q5yV. Retrieved September 20, 2012. ^ "United States Code: Title 20,7512. Findings | LII / Legal Information Institute". Law.cornell.edu. http://www.law.cornell.edu/uscode/html/uscode20/usc_sec_20_00007512----000-.html. Retrieved 2011-11-05. ^ "Hawaii State Government". Netstate.com. http://www.netstate.com/states/government/hi_government.htm. Retrieved 2011-11-05. ^ The Evolution of the Polynesian Chiefdoms. Cambridge University Press. 1989. pp. 77–79. ISBN 0-521-27316-1. ^ "Hawaii (state, United States)". Britannica.com. http://www.britannica.com/EBchecked/topic/257332/Hawaii. Retrieved 2011-11-05. ^ To express the policy of the United States regarding the United States' relationship with Native Hawaiians, and for other purposes: report (to accompany S. 2899). p.7. United States. Congress. Senate. Committee on Indian Affairs (1993- ). U.S. G.P.O., 2000. ^ a b Fein, Bruce (June 6, 2005). "Hawaii Divided Against Itself Cannot Stand". Angelfire on Lycos. Waltham, MA, USA: Lycos. http://www.angelfire.com/hi5/bigfiles3/AkakaHawaiiDividedFeinJune2005.pdf. Retrieved May 7, 2012. ^ "1897 Hawaii Annexation Treaty". The Morgan Report. http://morganreport.org/mediawiki/index.php?title=1897_Annexation_Treaty. Retrieved August 14, 2010. ^ "Anti-annexation petitions - Page 1". Libweb.hawaii.edu. http://libweb.hawaii.edu/digicoll/annexation/pet-intro.html. Retrieved 2012-03-09. ^ "Human Rights differs from Equal Rights". Moolelo.com. 2005-01-21. http://www.moolelo.com/human-rights.html. Retrieved 2011-11-05. ^ "Support For The Hawaiian Sovereignty Elections Council". Hawaii-nation.org. http://hawaii-nation.org/pleb.html. Retrieved 2011-11-05. ^ "New Jersey Quickfacts". Quickfacts.census.gov. http://quickfacts.census.gov/qfd/states/34000.html. Retrieved 2011-11-05. ^ "Hawaii Quickfacts". Quickfacts.census.gov. http://quickfacts.census.gov/qfd/states/15000.html. Retrieved 2011-11-05. ^ "Resident Population Data - 2010 Census". 2010 Census. Washington, DC, USA: U.S. Census Bureau. http://2010.census.gov/2010census/data/apportionment-dens-text.php#AREA_HI. Retrieved May 7, 2012. ^ "Average life expectancy at birth by state". http://www.census.gov/population/projections/MethTab2.xls. Retrieved 2011-11-05. ^ "Resident Population Data – 2010 Census". 2010.census.gov. http://2010.census.gov/2010census/data/apportionment-pop-text.php. Retrieved April 16, 2011. ^ "Hawaii QuickFacts from the US Census Bureau". State and County QuickFacts. Washington, DC, USA: U.S. Census Bureau. January 17, 2012 [last update]. http://quickfacts.census.gov/qfd/states/15000.html. Retrieved June 2, 2012. ^ a b "Profile of General Population and Housing Characteristics: 2010 Demographic Profile Data". US Census Bureau. http://factfinder2.census.gov/faces/tableservices/jsf/pages/productview.xhtml?pid=DEC_10_DP_DPDP1&prodType=table. Retrieved May 22, 2012. ^ "Hawaii - Race and Hispanic Origin: 1900 to 1990". U.S. Census Bureau. http://www.census.gov/population/www/documentation/twps0056/twps0056.html. ^ Williams, Charles (1832) . The missionary gazetteer: comprising a geographical and statistical account .... CIHM/ICMH microfiche series, no. 35042 (also ATLA monograph preservation program ; ATLA fiche 1988-3226). B B Edwards (America ed.). Boston, MA, USA: W. Hyde & Co. p. 424. OCLC 657191416. ISBN 978-0-665-35042-9. http://books.google.com/books?id=V6YNAAAAQAAJ&pg=PA424&lpg=PA424&dq=human+sacrifice+missionaries+hawaii#v=onepage&q=human%20sacrifices%20missionaries%20hawaii&f=false. Retrieved May 3, 2012. ^ a b c American FactFinder, United States Census Bureau. "Hawaii – ACS Demographic and Housing Estimates: 2008". Factfinder.census.gov. http://factfinder.census.gov/servlet/ADPTable?_bm=y&-context=adp&-qr_name=ACS_2008_1YR_G00_DP5&-ds_name=ACS_2008_1YR_G00_&-tree_id=308&-redoLog=true&-_caller=geoselect&-geo_id=04000US15&-format=&-_lang=en. Retrieved May 15, 2010. ^ Goto, Junichi (April 2007). "Latin Americans of Japanese Origin (Nikkeijin) Working in Japan – A Survey". Documents & Reports - All Documents | The World Bank. Washington, DC, USA: World Bank. pp. 5, 48. http://www-wds.worldbank.org/servlet/WDSContentServer/WDSP/IB/2007/05/10/000016406_20070510133229/Rendered/PDF/wps4203.pdf. Retrieved May 3, 2012. ^ "+ Hawaii Alive | Realms: Wao Lani +". Hawaii Alive. Honolulu, HI, US: Bishop Museum. http://www.hawaiialive.org/realms.php?sub=Wao+Lani&treasure=369&offset=0. Retrieved May 3, 2012. ^ Hoffman, Frederic L. (September 1899). "The Portuguese Population in the United States". Publications of the American Statistical Association 6 (47): 327–336. DOI:10.2307/2276463. ISSN 15225437. (subscription required) See pages 332-333. ^ López, Iris (May 3, 2006). "Puerto Ricans in Hawaii". In Ruiz, Vicki L. and Korrol, Virginia Sánchez. Latinas in the United States: A Historical Encyclopedia. Gale Virtual Reference Library. 2. Bloomington, IN, USA: Indiana University Press. pp. 591–595. OCLC 74671044. ISBN 978-0-253-34680-3. http://books.google.com/?id=_62IjQ-XQScC&pg=PA591&dq=hawaii+%22Puerto+Rican%22+1901. Retrieved May 3, 2012. ^ a b "Language Map Data Center". Mla.org. 2007-07-17. http://www.mla.org/map_data_results&state_id=15&mode=state_tops. Retrieved 2011-11-05. ^ Lyovin, Anatole V. (1997). An Introduction to the Languages of the World, p. 258. New York: Oxford University Press, Inc. ISBN 0-19-508116-1. ^ "Table 1. Detailed Languages Spoken at Home and Ability to Speak English for the Population 5 Years and Over for the United States: 2006-2008" (MS-Excel Spreadsheet). American Community Survey Data on Language Use. Washington, DC, USA: U.S. Census Bureau. April 2010. http://www.census.gov/hhes/socdemo/language/data/other/detailed-lang-tables.xls. Retrieved May 7, 2012. ^ "State Membership Reports". thearda.com. http://www.thearda.com/mapsReports/reports/state/15_2000.asp. Retrieved June 15, 2010. ^ "LDS Newsroom Statistical Information". Newsroom.lds.org. Archived from the original on July 30, 2008. http://web.archive.org/web/20080730060850/http://newsroom.lds.org/ldsnewsroom/eng/statistical-information. Retrieved May 15, 2010. ^ "State of Hawaii Data Book 2000, Section 1 Population, Table 1.47". Hawaii.gov. http://www.hawaii.gov/dbedt/info/economic/databook/db2000. Retrieved 2011-11-05. ^ "Survey shows partial picture". The Honolulu Advertiser. 2002-09-21. http://the.honoluluadvertiser.com/article/2002/Sep/21/il/il11afaith.html. Retrieved 2011-11-05. ^ "Religious Identity: States Differ Widely". Gallup.com. http://www.gallup.com/poll/122075/Religious-Identity-States-Differ-Widely.aspx#2. Retrieved 2011-11-05. ^ "Population Penetration, Catholic Church Adherents in the United States, 2010". Religious Congregations and Membership Study 2010: Mapping the Catholic Data. Fairfield, OH, USA: Glenmary Research Center. 2012. http://www.glenmary.org/site/files/919/133180/443856/608807/Population_Penetration.pdf. Retrieved May 7, 2012. ^ "Hawaii sandalwood trade". Hawaiihistory.org. http://www.hawaiihistory.org/index.cfm?fuseaction=ig.page&PageID=274. Retrieved 2011-11-05. ^ "Whaling in Hawaii". Hawaiihistory.org. 1999-06-16. http://www.hawaiihistory.org/index.cfm?fuseaction=ig.page&PageID=287. Retrieved 2011-11-05. ^ "Honolulu Star-Bulletin Hawaii News". Starbulletin.com. 2006-11-30. http://starbulletin.com/2004/05/21/news/story1.html. Retrieved 2011-11-05. ^ "Metropolitan Median Prices". Realtor.org. 2005-02-15. http://www.realtor.org/research/research/metroprice. Retrieved 2011-11-05. ^ Lynch, Russ (April 4, 1997). "U.S.-only shipping rule praised, blasted; Backers and foes of the Jones Act make their case before the Legislature". Honolulu Star-Bulletin (Honolulu, HI, USA: Black Press Group Ltd). OCLC 9188300. ISSN 0439-52711. http://archives.starbulletin.com/97/04/08/business/story3.html. Retrieved May 5, 2012. ^ Slom, Sam (26th Legislature, 2012). "SR11.DOC". Hawaii State Legislature. Honolulu, HI, USA: Hawaii State Legislature. http://www.capitol.hawaii.gov/session2012/bills/SR11_.HTM. Retrieved May 5, 2012. 2012 resolution introduced requesting Congress to exempt Hawaii, Alaska, Guam, and Puerto Rico from the Jones Act. ^ "Merrie Monarch Festival 2005". The Honolulu Advertiser. http://the.honoluluadvertiser.com/current/il/merriemonarch05. Retrieved May 15, 2010. ^ Nelson, Shane (August 8, 2011). "Hawaii International Film Festival: Kinship through cinema". Travel Weekly. Retrieved on May 10, 2012. ^ USA. "19th Annual Honolulu Rainbow Film Festival at Doris Duke Theatre :: Honolulu Hawaii Nightlife Event Guide". Hnlnow.com. http://www.hnlnow.com/events/index.php?com=detail&eID=10075&year=2008&month=5. Retrieved May 15, 2010. ^ "Honolulu Star-Bulletin Features". Archives.starbulletin.com. 2001-05-29. http://archives.starbulletin.com/2001/05/29/features/index.html. Retrieved 2011-11-05. ^ POSTED: 5:58 pm HST August 18, 2005 (August 18, 2005). "Two-Thirds Of Hawaii Schools Do Not Meet Requirements – Education News Story – KITV Honolulu". Thehawaiichannel.com. http://www.thehawaiichannel.com/education/4870699/detail.html. Retrieved May 15, 2010. ^ "News - Official 2011-12 Public and Charter School Enrollment". Hawaii Public Schools. Honolulu, HI, USA: Hawai'i Department of Education. October 12, 2011. http://lilinote.k12.hi.us/STATE/COMM/DOEPRESS.NSF/a1d7af052e94dd120a2561f7000a037c/81c3aa4a36044f930a257927007ab8d5?OpenDocument. Retrieved May 12, 2012. ^ Jordan, Cynthia (October 10, 2011). "PRIVATE SCHOOL ENROLLMENT REPORT 2011-2012". Hawaii Association of Independent Schools. Honolulu, HI: Hawaii Association of Independent Schools. p. 3. http://www.hais.org/uploads/file/about_stats_hcpsenrollrpt12.pdf#page=3. Retrieved May 12, 2012. ^ Hussar, William J.; Bailey, Tabitha M. (September 11, 2009). "Projections of Education Statistics to 2018". National Center for Education Statistics (NCES) Home Page, a part of the U.S. Department of Education. Washington, DC: National Center for Education Statistics. p. 6 (22 out of 68). http://nces.ed.gov/pubs2009/2009062.pdf#page=22. Retrieved May 12, 2012. ^ Ishibasha, Koren (November 2005). "Official Enrollment". Archived from the original on February 25, 2010. http://www.webcitation.org/5noCEgxNn. Retrieved December 2009. ^ Blackwell, Sarah (January 4, 2013). "msnbc's ''The Daily Rundown'', 23 December 2009, accessed 6 January 2012". nbcnews.com. http://tv.msnbc.com/2013/01/04/the-junior-senior-senators/. Retrieved January 6, 2013. ^ Rudin, Ken (December 23, 2009). "NPR's ''Political Junkie'', 23 December 2009, accessed 30 December 2009". Npr.org. http://www.npr.org/blogs/politicaljunkie/2009/12/todays_junkie_segment_on_totn_5.html. Retrieved May 15, 2010. ^ Heard on Tell Me More (October 29, 2008). "Asian Writer Ponders First Asian President Too". Npr.org. http://www.npr.org/templates/transcript/transcript.php?storyId=96126355. Retrieved May 15, 2010. ^ Horvat, William J.. "Inter-Island Airways/Hawaiian Airlines — Hawaii Aviation". Hawaii's Aviation History. Honolulu, HI, USA: State of Hawaii. http://hawaii.gov/hawaiiaviation/hawaii-commercial-aviation/inter-island-airways-hawaiian-airlines. Retrieved May 5, 2012. ^ Cataluna, Lee (December 23, 2005). "Nothing Smooth On Seaflite". The Honolulu Advertiser. http://the.honoluluadvertiser.com/article/2005/Dec/23/ln/FP512230359.html. ^ "Aloha, Superferry Alakai leaves Hawaii to find job". Honolulu Star-Bulletin (Honolulu, HI, USA: Black Press Group Ltd). March 29, 2009. OCLC 9188300. ISSN 0439-52711. http://archives.starbulletin.com/content/20090329_Aloha_Superferry. ^ "Maui Molokai Ferry on Molokai Princess and Maui Princess". http://www.molokaiferry.com/ferry.html. Retrieved May 5, 2012. ^ "Expeditions: Maui - Lanaʻi Ferry Service". https://ssl.go-lanai.com/. Retrieved May 5, 2012. ^ "Hawaii Cruises Cruise Overview | Hawaii Cruises Cruise Destinations & Vacation Packages". Norwegian Cruise Line. Miami-Dade County, FL, USA: Norwegian Cruise Line. http://www2.ncl.com/cruise-destination/hawaii/overview. Retrieved May 5, 2012. ^ "Hawaii, Tahiti, & South Pacific Cruises". Princess Cruises. Santa Clarita, CA, USA: Princess Cruises. 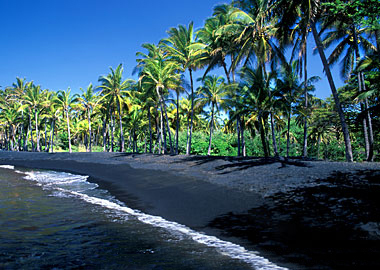 http://www.princess.com/learn/destinations/hawaii/index.html. Retrieved May 5, 2012. This page uses content from the English language Wikipedia. The original content was at Hawaii. The list of authors can be seen in the page history. As with this Familypedia wiki, the content of Wikipedia is available under the Creative Commons License.